Five turbines 3 miles off of Block Island are the country's first offshore wind farm. The coast of Massachusetts is an ideal location to harness the power of wind and now, developers are vying for a chance to build turbine farms about 15 miles south of Martha’s Vineyard. But what exactly will all of this look like? To get a better sense of what’s to come, you need to visit the nation’s first offshore wind farm, five turbines that stand just off the coast of Rhode Island. It’s a windy and bumpy boat ride out to the wind farm, and leading the way is Bryan Wilson, manager of the Block Island wind farm run by Deepwater Wind. "The wind farm is located three miles off the shores of block island in state waters," Wilson said. "The turbines are quite a sight to see, everyone who arrives for the first time is pretty much awestruck, quite honestly I go out there all the time and I’m still awestruck, it’s quite a sight to behold." The five turbines stand about 600 feet tall from bottom to blade, which is about the height of a 60 story building. Its three blades are each about 200 feet long, and they spin slowly, with an almost imperceptible sound. While they look serene out on the water, the farm came online at the end of 2016 after a controversial, seven-year permitting process through Rhode Island. Its five turbines generate enough energy to power all of Block Island, a total of about 17,000 homes. "A five turbine project is fine for a demonstration, but as an economic engine it’s not huge," Wilson said. 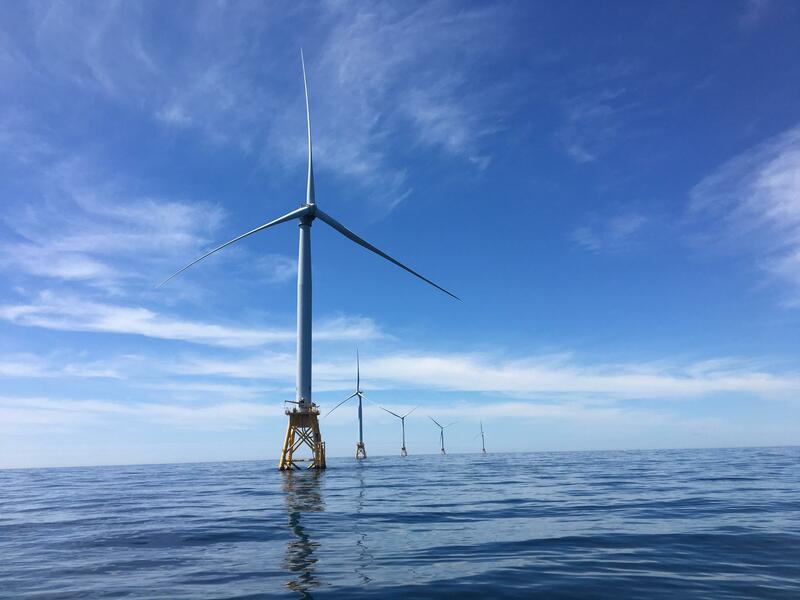 Now, Deepwater Wind, along with competitors Vineyard Wind and Bay State Wind are vying for a chance to build a larger offshore wind farm in federal waters off Massachusetts. All three companies secured leases on around 300 square miles of ocean each with the Bureau of Ocean Energy Management. Later today, the state is expected to announce which companies it will be partnering with to provide up to 800 megawatts to Massachusetts consumers - enough to power about 400 thousand homes. If successful, the project may look like the Block Island farm, times ten. Bill White of the Massachusetts Clean Energy Center said he sees the state as a strong supporter of offshore wind. "The legislature spoke, and they said yeah, we need offshore wind in Massachusetts," White said. "There’s a need for new generation to power our economy and homes. This will also have tremendous economic and job prospects." Last year, governor Charlie Baker’s administration made a commitment to have the state producing five thousand megawatts of offshore wind energy by 2035. White added that finding new sources for renewable energy is particularly important as Massachusetts has closed its only coal power plant, and is looking to decommission its only nuclear power plant in the next year. This isn’t the first time Massachusetts has seen proposals for offshore wind though. Last year, the offshore wind proposal called Cape Wind was shot down after more than ten years of clashes with the public and local fishermen. But companies proposing these three wind farms off Martha’s Vineyard hope that this time, things will be different. Erich Stephens, Chief Development Officer of Vineyard Wind explained. "I saw how things were playing out with Cape Wind and I wanted to do it differently," Stephens said. "Really it was about the community selecting the area and fishermen selecting the area and not us as a private project developer." At a packed Vineyard Wind public meeting last month in Hyannis, while many residents were supportive of the offshore wind proposal, Vineyard Wind’s fisheries representative Jim Kendall said fishermen are worried about navigating these areas. "There’s a lot of concerns, mostly it’s the unknowns," Kendall said. "It’ll be much more difficult no doubt and their practices will probably have to change to some degree or a big degree." He says that at this point though, many are resigned to offshore wind happening, and few were at the public meeting to speak out. So far, Vineyard Wind is the furthest along in state and federal permitting, with plans to begin construction at the end of 2019. For Bay State Wind and Deepwater Wind, their proposals see construction happening in the early 2020s. But all three say they see wind power as the future of renewable energy, and are certain that if Massachusetts isn’t a taker, they’ll have buyers elsewhere. "Connecticut has asked for proposals, Rhode Island has been asking for offshore wind, so these are other opportunities available not just for us, but for our competitors," Stephens said. "It’s really developing a race between the states to make use of this resource." The state is poised to decide which company or companies it will work with initially. It could choose a combination of all three, or just one company to provide its starting goal of 800 megawatts. This is just the first round of bids however, and the state will be soliciting bids from offshore wind companies again next year, for a similar amount. The announcement is expected later today. What Can You Do If Your Well Turns Salty? The Nuclear Decommissioning Citizens Advisory Panel met on Thursday to vote on new recommendations they will send to the state regarding the decommissioning of the Pilgrim Nuclear Power Plant. The plant has been plagued by outages in the last year and is scheduled to be shut down next May. U. S. Fish and Wildlife Service. Chatham's Board of Selectmen has been pressuring U.S. Representative Bill Keating (D-Mass.) 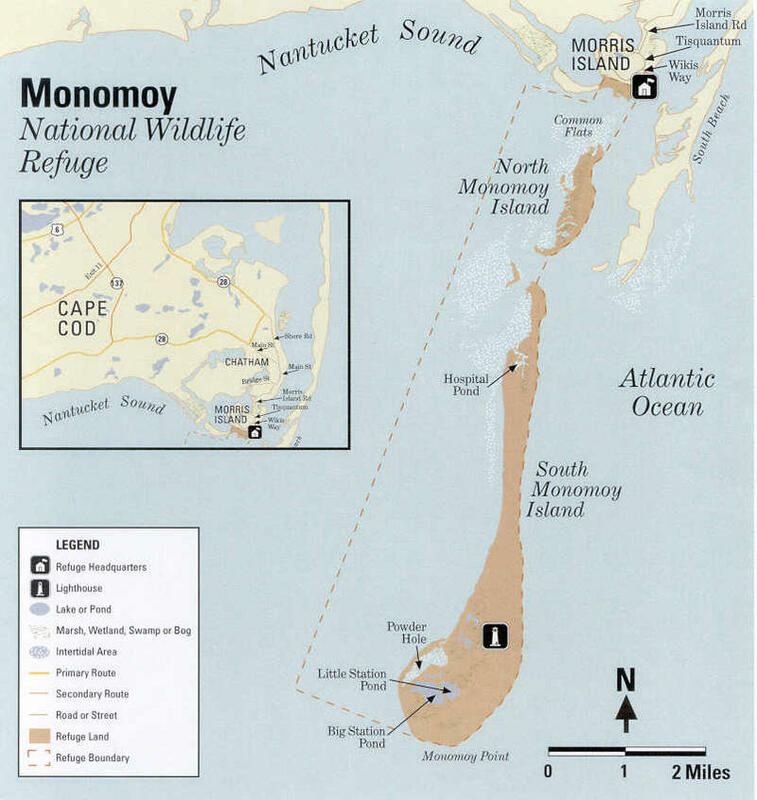 to continue his efforts to return a stretch of ocean off the Monomoy National Wildlife Refuge to state and local control. Those waters were put under federal control when officials redrew boundaries in 2016, impacting some areas used for fishing. Chatham selectmen say efforts seem to have stalled, and even went as far as to put out a call to action to residents last week. 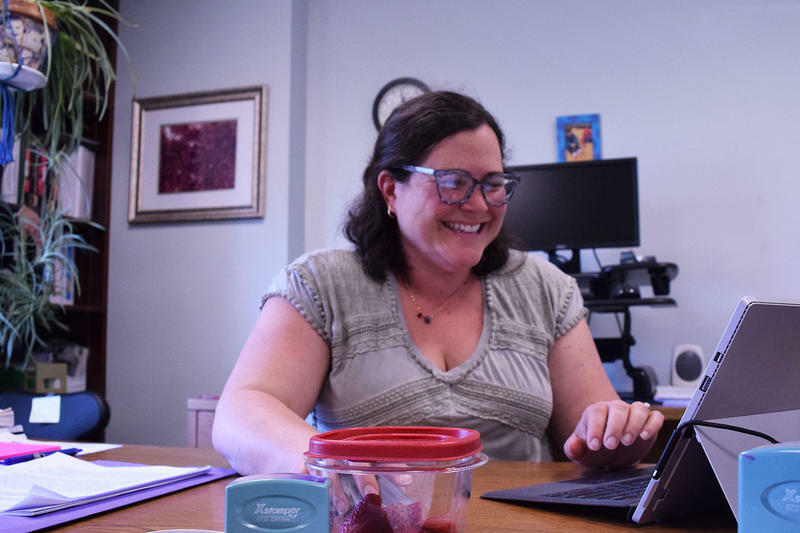 WCAI's Kathryn Eident talked with Morning Edition Producer Hayley Fager to learn more.